We thought about it some more. If there was a way to make it work, it made a lot of sense. We could provide a fit to a customer, source the new bike, and then have it built and waiting for him/her in a matter of days. We inquired with Argon 18 for our first dealer, as we’re particularly excited about that bike brand. They offer two excellent frame choices (The E-117 and E-119), so they don’t paralyze the customer with choice; their build specifications are similarly constrained (2-3 options per bike), resulting in a sensible spread of components and price; and they offered one final feature that we love: instead of us becoming one of their stocking dealers (which would entail carrying inventory, credit applications, and a whole mess of things that would complicate bike sales), Argon 18 sources the bike from an existing local bike shop, who ships it to us. The best part of this deal? 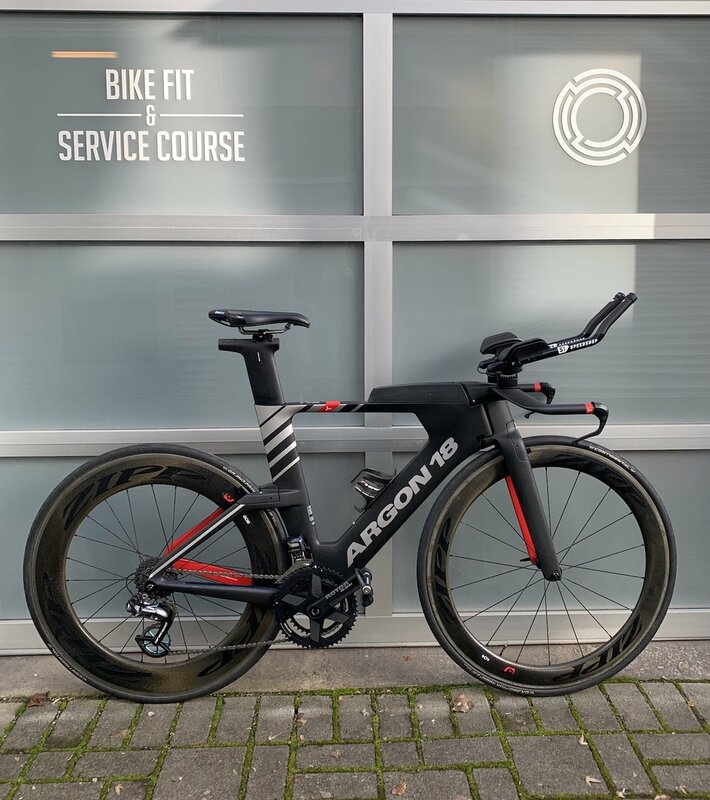 The bike shop still gets credit for selling the bike with Argon, which means they get something out of the deal, we can sell a bike easily to a customer, and there’s one more Argon 18 out there in the world. Everybody wins. We are an official “Non-stocking Dealer” in their parlance, so you know that you have the weight of that company behind any bike we sell. One astute customer asked if this meant he was the first purchaser (a very good question for warranty concerns! ), and we are, in fact, the first seller, which means any bike you purchase in the manner carries its full warranty from Argon. This has been a possibility, now, for a few months, and we’ve sold our first bikes—Argon E-117s and E-119s to a few customers. It’s an excellent bike: easy to work on, assemble, and cable; easy to troubleshoot on the customer end for things like brakes, tire/frame interaction, and shifting; easy to fit (the bikes accommodate a huge range of riders); and fast out on course. Ready for your new ride? Book today.